Today, I was figuratively slapped in the face by the realization that I’ve never blogged about the mathematics behind insurance. This is surprising to me, having blogged about insurance for over a year now and having loved math since childhood as a Rottweiler might love a T-bone steak. If you really can’t stand math and have no interest in how insurance agencies can afford to replace huge losses frequently, then look at another post. But the concepts behind why insurance works are relatively simple and easy to grasp; for me, they offer a great example how inferential statistics never lie when calculated correctly. The following is a VERY simple description of the math that lets your insurer protect you. The first concept that insurance relies on is known to statisticians as “the Law of Large numbers” and it’s best explained by example. Let’s say you’re sitting in your office, bored by whatever menial task is sitting in your inbox, and you decide to play a game. You pull out a coin and you see how many heads you can flip in a row. You flip one or two heads in a row easily. But you start to find that it’s much harder to keep getting heads (assuming you’re flipping fairly). This is because the probability of you flipping a head is 1/2 or 50%. But 2 heads in a row is (1/2)*(1/2) or 1/4 or 25%. So statistically you’ll only flip 2 heads in a row once out of every 4 tries. That’s discouraging. The probabilities get lower and lower very quickly. The probability of flipping 6 heads in a row is 1/64 or 1.5%. You could try 100 times and have it happen only once or twice. Suddenly, your neglected paperwork seems much more friendly. Let’s say you get discouraged and you decide you’re going to play a different game instead. Let’s also assume that you’ve grown up under a rock and you don’t know that the probability of flipping a head is 50%. So you decide to record the number of heads and tails you flip. As you continue playing this game, we both know that your record will get closer and closer to 50% as you flip more and more. In other words, because of what you discovered with your first game, it gets harder and harder to ‘fudge’ the probability the more you flip. Mathematicians go one step farther to say that if you take any event (say, a tornado blowing Dorothy’s house away) and record lots and lots of trials, the results get closer and closer to the actual probability with each new trial, eventually getting so close that you can just accept the result as the actual probability. The second concept behind insurance is called a ‘weighted probability.’ This is a little more complicated, but much more relevant to insurance. 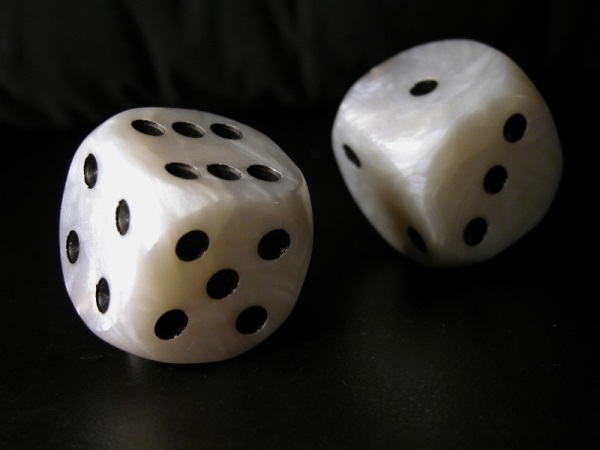 Let’s say that you decide to leave your office and start using your new-found understanding of probability to gamble. You encounter a man on the street who offers to play a game of chance with you. You roll a fair dice; if you roll a 6, he gives you $6. If you roll anything else, you give him $2. Should you play? The answer is no. You will lose money if you play long enough. Here’s how I know. Mathematicians have developed a formula for finding the average amount of money gained or lost in situations like these. Simply, the result is obtained by multiplying each probability by the money gained or lost and adding the results. You lose an average of 66 cents per game. And we know from game number 2 in the office, that the more you do this, the closer the average loss will be to negative 66 cents. If you play 1,000 times, you will lose 1000(0.66) = 660 dollars. Hopefully you’ll stop playing before that happens! So what does this have to do with insurance? Well, we know that insurance agencies insure lots of people (they have to, or else it wouldn’t work, just like the coin!). Every person pays a small amount of money each month and nothing happens to them. But every once in a while, an insurance company will have to pay lots of money to a single person. You’re a small insurance company that insures 1000 people. Let’s say that 1 house will catch on fire per year. So you’ll make $39.76 on average per person insured. Therefore you’ll make 1000*(39.76) = $39,760. Now our hypothetical insurer can use that money to buy 1/2 a cup of coffee at Starbucks! Now this is a really simple example (with really small numbers), but it’s the same math that insurance companies hire statisticians to calculate for them. In fact, there's a whole branch of mathematics related to this concept called Actuarial Science, which I've always found cool. By collecting lots of small payments, companies know that probability will protect them from the occasional loss. That’s how we stay in business. Hopefully this post helps you understand a little more of how the insurance world works.